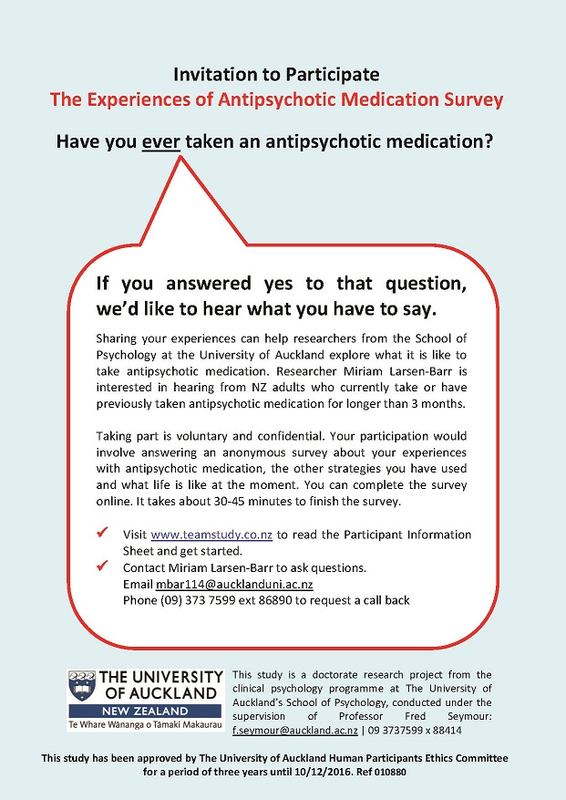 The Experiences of Antipsychotic Medication Survey is now open for responses from NZ adults over 18 who take or have taken antipsychotic medication. A full Participant Information Sheet is available on the website. Please share this invitation to take part with your networks. Suicide: Facts and Myths – Square. Suicide is a major public health problem in Australia. About 2300 Australians take their own lives each year. This website has some great info. http://www.planetaudio.org.nz/ Take It From Us, PlanetFM 104.6 Tuesday @ 12.30pm. Navigating the Mental Health Wilderness: Steven Morgan’s Journey – Mad In America. Steven Morgan discusses his transformative journey from chronic “patient” to leading mental health advocate. Addiction is not an Illness. I don’t see addiction as an illness. But some of the things we choose as an addiction are far more physically and emotionally destructive than others. Have You Ever Taken Antipsychotic Medication? If this sounds like you or someone you know pop along to www.teamstudy.co.nz for more info – you’ll find everything you need there. 10 Ways to Show Love to Someone With Depression. I have struggled with clinical depression since I was a child. It has been a constant companion I have learned to manage and while I am better now than I have ever been, every so often I feel it returning. Proposal for paliperidone depot injection, risperidone depot injection and olanzapine depot injection. Let’s get some service-user input on this! * This study reports an increase in crime victimisation by people with schizophrenia spectrum disorders since services were moved to the community. It is the opinion of Engage Aotearoa that violence by people who are unwell is often due to a lack of responsive services and appropriate supports, rather than the mental-health condition itself. Stressed out family members and friends are not always the most appropriate supporters when things have reached crisis point. Voluntary respite services are highly restricted in accessibility. The current NZ system requires that someone has become a risk to themselves or others before acute services are provided. Crisis Team response times are renowned for being too long. This all creates space for escalation and victimisation before treatment and support can be accessed. This is a complex issue that extends well beyond mental-health problems themselves and reaches into the core of how we as a society support those who are experiencing a mental-health crisis. *Note: The results of this gene-environment study, if replicated, may partly explain why people with the same diagnosis can respond very differently to the same antipsychotic medication. *Note: Weight management strategies are important interventions for addressing a common side-effect of many anti-psychotic and some antidepressant medications. 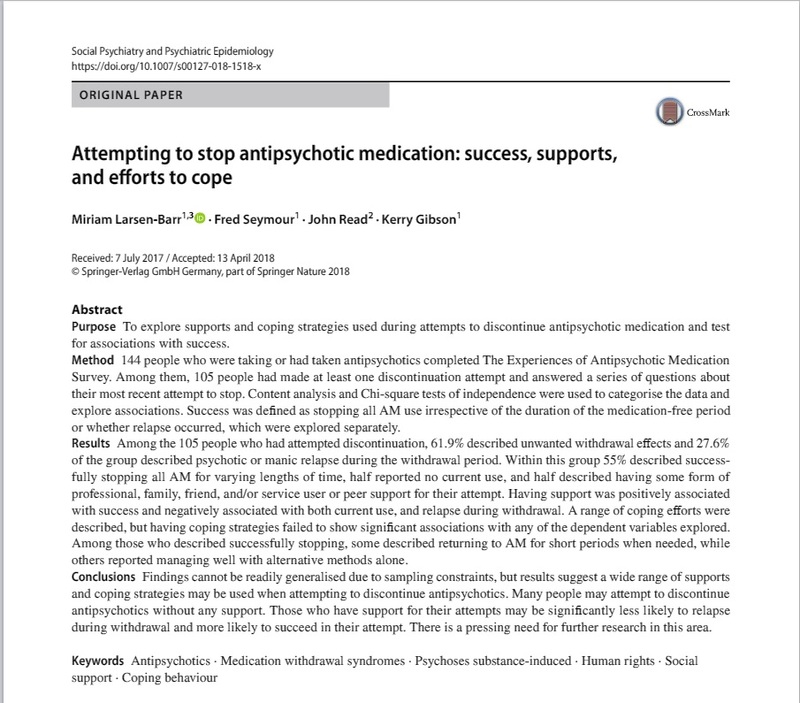 However, in the opinion of Engage Aotearoa, this article de-emphasises the role of medications in the weight-gain of people with schizophrenia diagnoses and incorrectly implies it is a direct consequence of the mental-health problem itself, when it is not. *Note: These results show that the public sees a difference between depression as a response to loss (‘a normal response’) and clinical depression requiring professional attention. In the opinion of Engage Aotearoa, the public (and the authors) appear to assume that diagnosable mental-health problems are ‘not normal responses’. This is an attitude that likely contributes to stigma about depression. Unfortunately this article does not acknowledge that clinical depression is indeed a normal response that can usually also be traced to previous difficult experiences. Influence of personal and environmental factors on mental health in a sample of Austrian survivors of World War II with regard to PTSD: is it resilience? *Note: This research suggests a humorous and challenge-focused attitude to stress and trauma is associated with resilience to PTSD. Environmental elements showed associations with resilience to PTSD symptoms. The authors conclude the socio-environmental factors are simply consequences of PTSD symptoms. However, it is also possible that these factors are directly contributing to the symptoms and that resolving them would improve resilience to PTSD.